This workshop will consist of advanced water operations topics to aid Class II, III and IV operators in successful exam preparation. 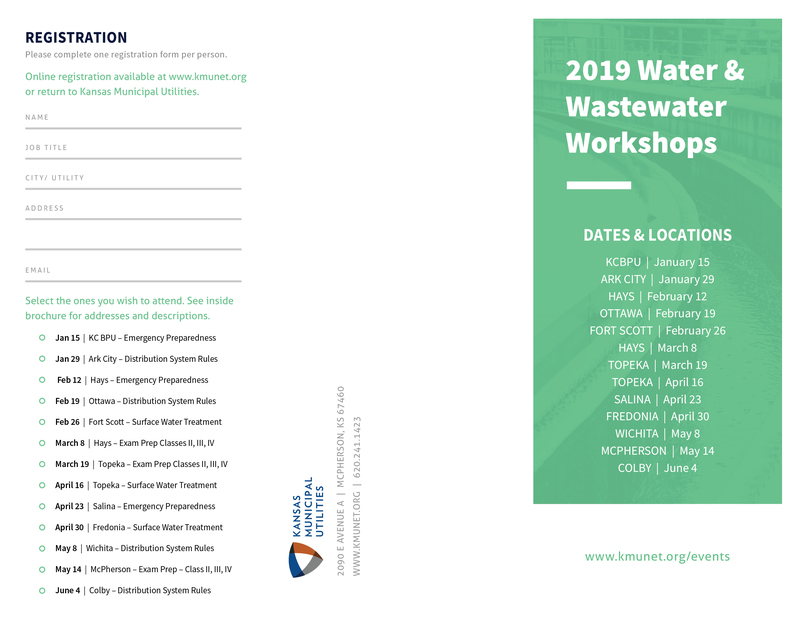 This training will utilize AWWA Water Systems Operations (WSO) resources. The WSO series is the only widely used certification training material that conforms to the latest Association of Boards of Certification (ABC) Need-to-Know criteria (similar to KDHE Operators Need-To-Know). For certification training to meet the highest standards and be applicable to the widest audience, it is crucial that materials be developed in accordance with the latest Operator Need-To-Know criteria.